Although it may seem old and many people would say it had its time, vintage is the style that will always be in fashion. No matter if we talk about clothes, furniture, wine, accessories, or weddings, vintage is the style that stole the heart of many brides to be. As a vintage themed wedding is synonymous with a green wedding, many couples choose to have vintage details in their wedding. Starting with the wedding dress and finishing with the wedding stickers, all of these wedding planning details can be personalized in a vintage style. In this article we are going to talk about some styles of vintage wedding stickers. As in the past people were very close to the nature, we can observe nature and its details on all the vintage objects around us, as well as on vintage wedding stickers. 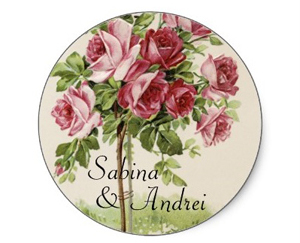 Flowers, trees, and wood are the main motifs that we can observe on vintage wedding stickers. The difference between modern floral designs and vintage floral designs for stickers is that the vintage ones have very colorful floral decals on them. The brighter were the colors, the more impressive they seemed. Lace is considered to be an exclusively feminine fabric that is used mostly for brides and fashion models. But lately not only lace, but lace related motifs are used more and more for all kinds of events. More and more vintage themed weddings include lace motifs. Is this why there were developed the vintage wedding stickers with lace motifs on them. The lace motif inspires elegance and style wherever it is printed. 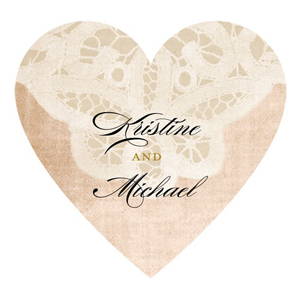 Lace themed wedding stickers are a perfect choice for a vintage themed wedding. The deco motifs are characterized by geometrical shapes that presented a linear symmetry. The deco motifs are usually black or white, but we can also find them in red or green or any other color we can think of. Vintage wedding stickers with art deco motifs look very crowded because of the multitude of the details that this style implies, but deco vintage stickers are extremely elegant and fancy at the same time. Papyrus represents the vintage style for the Egyptian world. 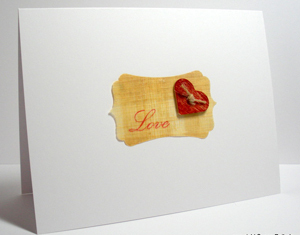 Papyrus was the symbol of official documents, but also of love letters. This is why nowadays papyrus is seen as a very romantic style and is often used for wedding invitations, wedding thank you cards, and wedding stickers. So if you are passionate about the Egypt, or you just love its culture and you also want to have a vintage themed wedding, papyrus stickers are the right choice for you.